For many, Jewish holidays are not merely opportunities for parties and celebration, but a time to connect with their spirituality, family and community. It can be challenging to connect to these things when one does not feel fully accepted as their whole self. Many LGBTQ Jews from Orthodox backgrounds do not have safe, inclusive and welcoming places to celebrate the Jewish Holidays in ways that feel familiar and comfortable. To respond to this need, JQY provides fully inclusive Holiday events for all Jews, with a special sensitivity to the needs and customs of our Orthodox members. JQY organizes three major LGBTQ Community Holiday parties in New York City. Each holiday event is attended and celebrated by over 250 people each year. See below for more information on each event. A Sukkah represents the safe haven provided to the Jewish people as they were alone and vulnerable in the desert. Many LGBTQ Jews from Orthodox communities are unable to find a Sukkah that is fully inclusive. JQY provides the LGBTQ community with a welcoming tent that includes and celebrates all, regardless of sexual orientation or gender identity. Each year, over 300 LGBTQ Jews gather together in a community Sukkah to celebrate the holiday with food, drink, music, and friends. The Menorah represents the potential for light in even the darkest of places and times. Chanukah is the celebration of the inherent light in every person. Many LGBTQ Jews from Orthodox communities have gotten the message that their unique light is not valued, and struggle to see the beauty of their own light. The JQY Chanukah party is a place where every person is valued, cherished and allowed to shine their brightest. Each year, LGBTQ Jews celebrate Chanukah by lighting the Menorah as one community, eating latkes, and tasting traditional jelly doughnuts (Sufganiyot). Purim is the ultimate celebration of identity. The holiday celebrates the power of revealing our true selves. Queen Esther heroically comes out as a Jew, risking her own life in the process. Many LGBTQ Jews in the Orthodox community face immense pressure to wear masks at home, at school, or in their synagogues. 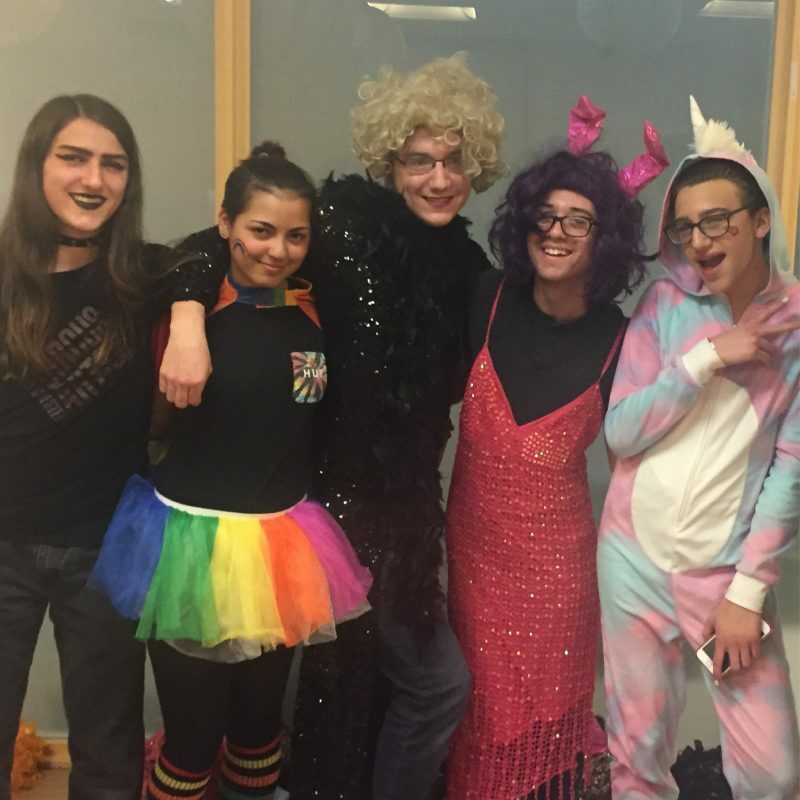 Purim at JQY is a time where we rejoice in the bravery it takes to be our whole selves. At our traditional and egalitarian Megillah readings, community members come together to read the megillah for each other. In a myriad of colorful costumes, LGBTQ Jews gather to cheer on Esther and boo Hamen. After the Megillah reading, we throw a celebration where we eat Hamentashen and dance the night away as a community. 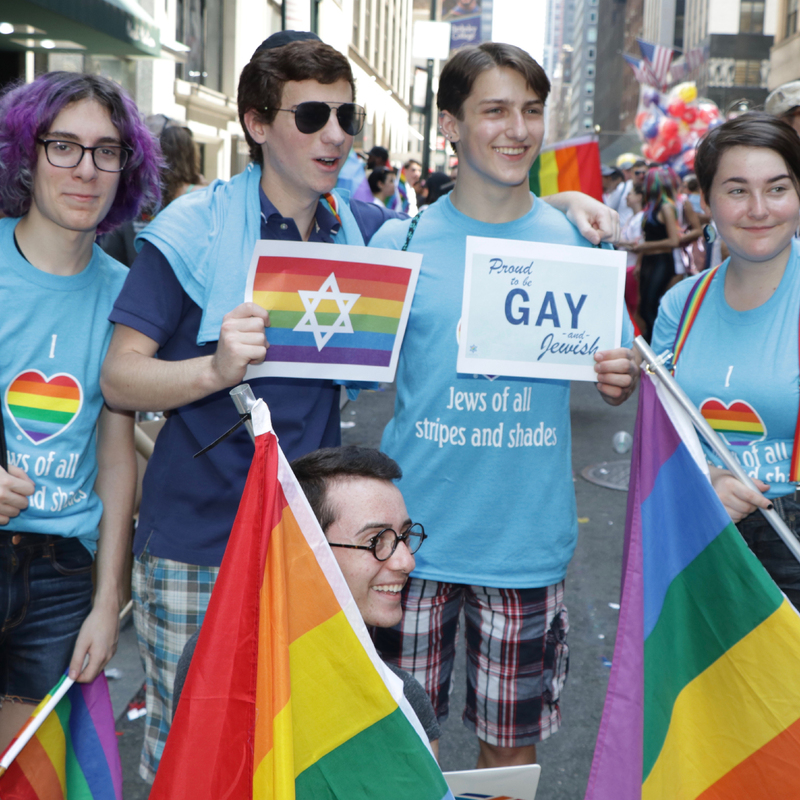 In 2012, for the first time in 48 years, the NYC Celebrate Israel Day Parade allowed JQY and other LGBTQ Jewish groups to fully participate as marchers in the parade. For two years, JQY appealed to the JCRC to allow full LGBTQ Jewish communal participation at the parade. One 17 year-old JQY member even came out to his grandmother, who had been a past director of the parade, in an effort to secure our inclusion. These heroic actions by brave young JQY members are nothing short of inspiring. Finally, the Parade informed JQY that we were allowed to march. The Celebrate Israel Parade is a wonderful opportunity to celebrate Israel together with the entire Jewish community. JQY now has the opportunity to join over a half a million Jews in coming together to celebrate our culture, people, and country. JQY's presence at the parade also creates awareness for those who need it most. 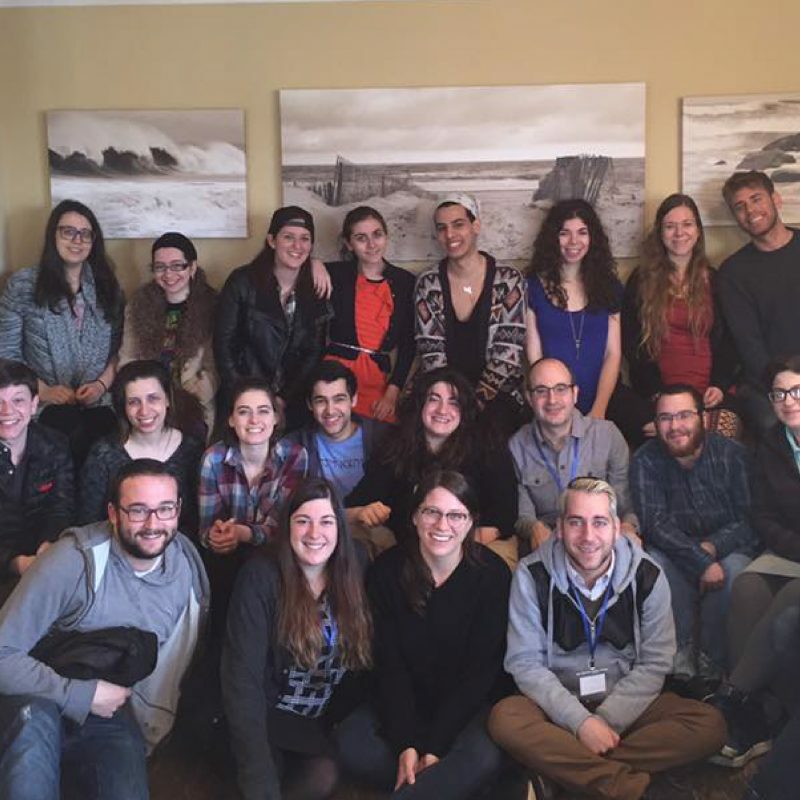 It is an opportunity for LGBTQ Jews to reconnect with their Jewish identities as well as connect vulnerable populations of LGBTQ Jews who watch the parade to LGBTQ resources that they otherwise may not have known about. The impact of JQY marching in the Israel Parade is invaluable for both the greater Jewish and LGBTQ communities. It strengthens both worlds and sends a message of solidarity, inclusion, and love. Pride is the positive stance against discrimination and violence toward LGBTQ individuals, promoting self-affirmation, dignity, equality, increased visibility, community, and celebrating sexual diversity and gender variance. June is officially LGBTQ Pride Month, and the biggest Pride celebration in the world, the NYC Pride March, takes place in New York City. Every year, JQY hosts a pre-pride brunch before marching with Congregation Beit Simchat Torah (CBST) and their celebratory float at the parade.